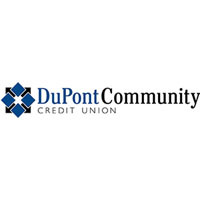 DuPont Community Credit Union saw continued growth at the end of the second quarter of 2012 for total lending. The credit union also showed growth in real estate loans for the second quarter. The Waynesboro-headquartered credit union, which operates ten branches in the Central Shenandoah Valley region, reported a 2.3%　increase in total loans outstanding over the previous quarter. This brings the amount of total loans to $591.5 million as of the end of the　second quarter. Total real estate loans increased 0.9% during the second quarter of 2012 which includes $28.1 million funded during the second quarter. DCCU also reported that the credit union’s equity or net worth increased by 2.1% to end the second quarter at $74.9 million, signifying its continuing soundness. In addition, the Credit Union maintained the designation as “well-capitalized” by the National Credit Union Administration, the highest designation. NCUA is the federal government regulator of credit unions (ncua.gov). DCCU is a not-for-profit, full-service financial cooperative organized to serve the ever changing financial needs of all the members who own it. For more information visit our website at mydccu.com.